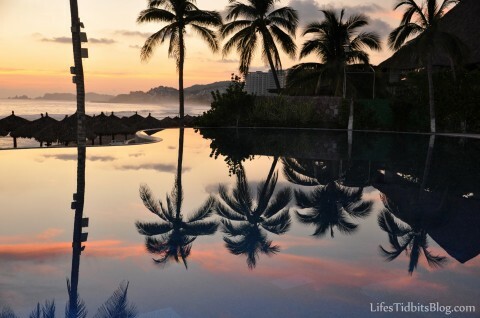 This picture was taken in 2009 when some friends, the husband and I went to Ixtapa, Mexico for vacation. It was a fantastic trip and the views were beautiful. I love the way the palm trees are reflected in the pool as the sun was setting. Check out more pictures from a different Mexico vacation here. Our condo has a little balcony off the master bedroom. After moving in we put some old chairs on the balcony and sat out there every once in a great while. Lacking something comfortable to sit on didn’t make the space too inviting. When my parents and sister came to visit and see the condo for the first time my mom and I made a list of the stuff we still needed to purchase. 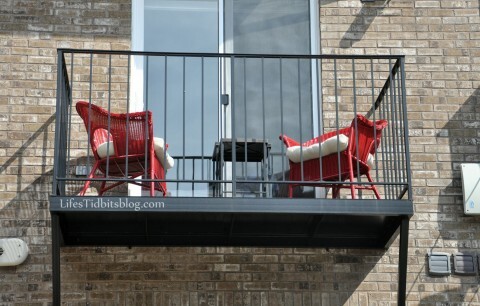 The balcony furniture made it to the top of the list pretty quickly. That afternoon the husband and my dad did “guy things”. Like going to Home Depot, installing a dimmer switch in the living room and I believe there was some sitting on the couch with beers in playing on the laptop/ipad (but I could be wrong…wink wink). Meanwhile my sister, mom and I headed out to do some shopping. We had no luck after going to World Market and Home Goods. 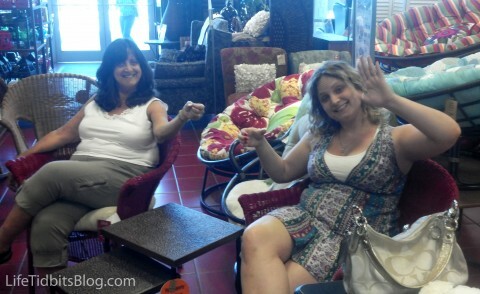 Despite feeling a little defeated we headed over to Pier 1 Imports to see if they had anything. We walked in and almost immediately we fell in love with plicker (plastic wicker) red chairs. 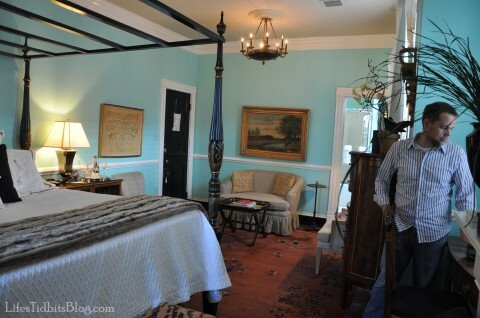 They were comfortable and complimented the accent red tamale wall in the master bedroom. 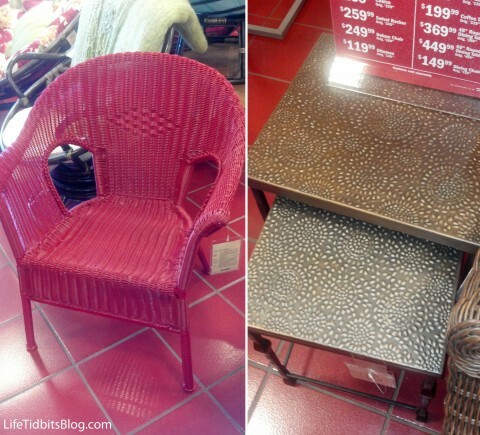 My mom roamed around the store and spotted nested tables that she thought would work well on the balcony. My mom obviously knows my style well. I really liked the nested tables. I took pictures of the chairs and tables with my Driod and sent them to the husband for approval. He was quick to respond with a yes on both, so we were in business!! To make sure we loved the new items I had my mom and sister sit down and pretend like they were having drinks. After playing tetrus with the car and new furniture we FINALLY were able to get everything in and headed home. I really thought we might have to return everything and go back and buy it when we had a bigger car! The balcony is so inviting now that it’s had a furniture face lift. I love our little balcony and it’s perfect for morning lattes, afternoon drinks, reading and relaxing. 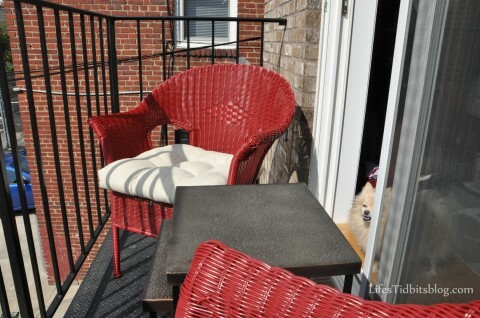 Sophi likes the balcony too … can you see her sneaking into the picture? Heck the balcony is even great for an intimate dinner and since the weather in DC is not longer 90 plus degrees each night we even had dinner on the balcony the other evening. I have always been into photography. Since middle school I’ve followed in my mother’s foot steps and taken/printed TONS of pictures. There are albums and albums of pictures at my parent’s house and even more at our condo. 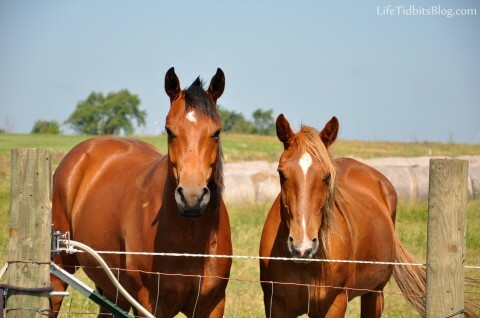 Given my love of photography I thought it might be fun to share a photo each week. Since this is the first photo of the week I though it was appropriate to share one of the first pictures I took with my Nikon D90. This picture was taken the weekend of my sister-in-law’s wedding in Missouri. 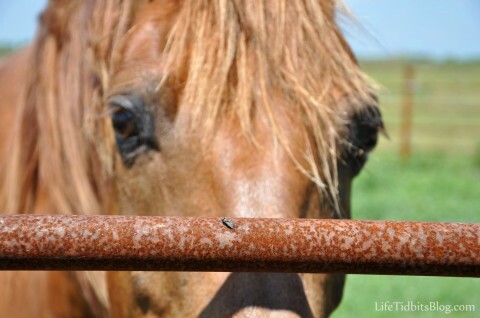 Although it’s suppose to be photo and not photoS, I still wanted to share one more picture from that trip to Missouri. I find it odd that I’m perfectly capable of caring for a dog, but give me a plant and the thing is dead in less than a week. I mean it’s a serious black thumb problem I have. We offered to water our neighbor’s plants while they were on vacation and I made the husband do it since I was afraid I would instantly kill them all. Despite my inability to keep plants alive I’ve always wanted to have a little herb garden. 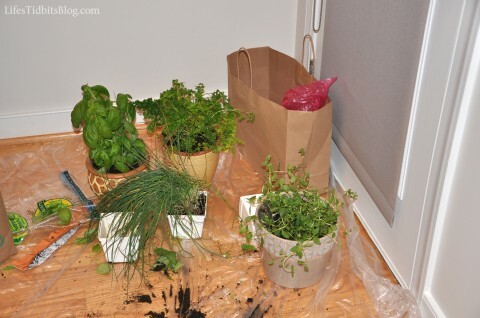 The thing is when I got into cooking recipes would call for fresh herbs. So I would buy a package of mint, for example, and then only use two tablespoons. The rest would sit in the refrigerator and go bad in no time. Those little packages cost like $2 and you can buy a pre-planted herb for $2.99. The way I see it is my black thumb is not only killing the plants, but my wallet too … hahahaha! So this weekend the husband and I went herb shopping. My big thing was I didn’t want to start from seedlings. Apparently Home Depot doesn’t carry herb plants, only seeds. I just assumed Home Depot would have them, so when they didn’t we had to go a different route. We found basil at the grocery store and then chives, mint and parsley at a flower shop. 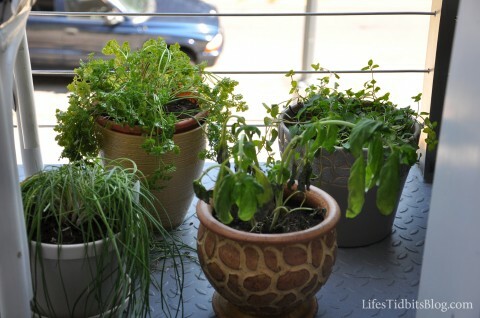 If I’m able to keep these four herbs alive I plan to add rosemary and thyme to my little “garden”. We laid down some plastic so the potting soil didn’t get all over the hard woods and started planting the herbs. 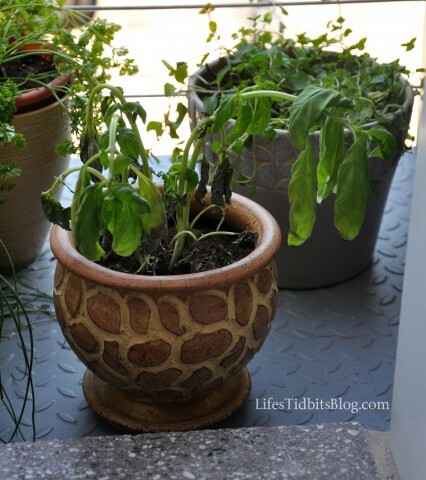 When I was done planting the husband and I talked about where we should put our herb plants. We have this little “balcony” off of our living room, which I’ve never really known what to do with. A while back I stuck an odd chair out there. I wouldn’t say it is an eye sour, but not exactly elegant either. 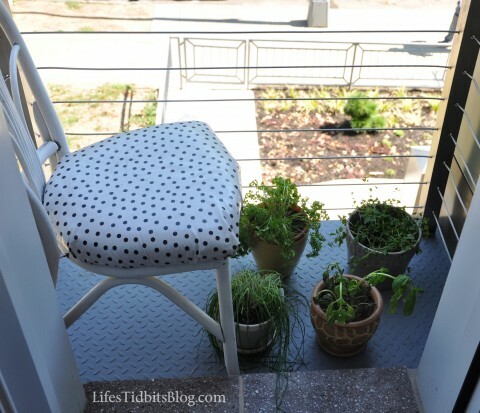 If I am able to keep these herbs alive I think it will be time to say goodbye to the old chair and hello to our herb garden. After only one night my basil is already wilting. I’m praying it perks back up. This is not exactly the start I was hoping for. People, please cross your fingers and channel some of your green thumb vibes my way!! I really hope these little guys make it. Any tips for me on how to keep these little guys alive? A few weeks ago we celebrated our 1 year anniversary! Although we got a ton of fantastic wedding gifts one of the best and most unique gifts we received was a gift certificate to Virginia Bed and Breakfasts. 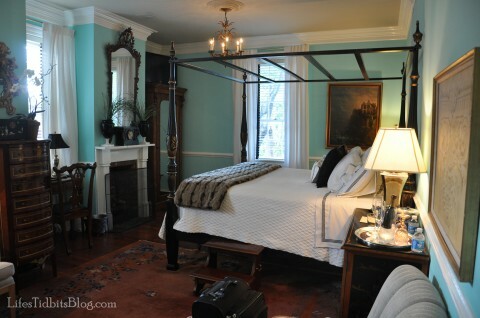 After researching and deliberating on where we wanted to go and stay we decided upon The Inn at Court Square. This little bed and breakfast is SO cute. This place is decorated perfectly. The wall were a Tiffany blue and the whole room had so much character. Look at my adorable husband attempting to get out of the way of the picture. Sorry babe you are totally still in the shot. :) And because it was our anniversary the husband had a bottle of prosecco waiting for us when we arrived. We drank some wine and then we headed off to dinner at Maya. Saturday morning we did our last minute planning of which wineries we were planning to hit. The last time we were in Charlottesville we went to Barboursville and Horton wine vineyards so those were out this time. We were definitely up for trying some new places. 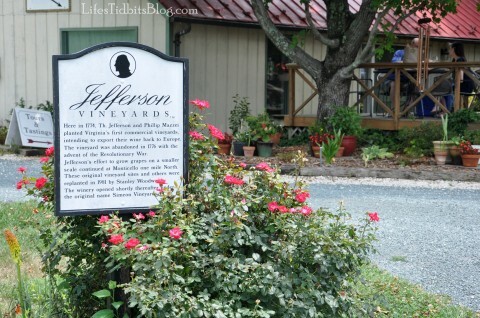 The first stop was Jefferson Vineyards. After a very lovely wine tasting and purchasing three bottles of wine (white, rose and red) from Jefferson Vineyard we headed to Sugarleaf. 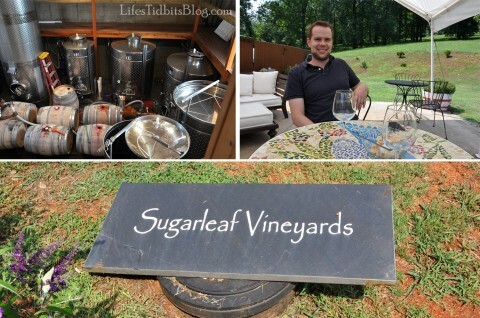 The Sugarleaf Vineyard was packed so they did our tasting outside. Honestly it was a fantastic idea. 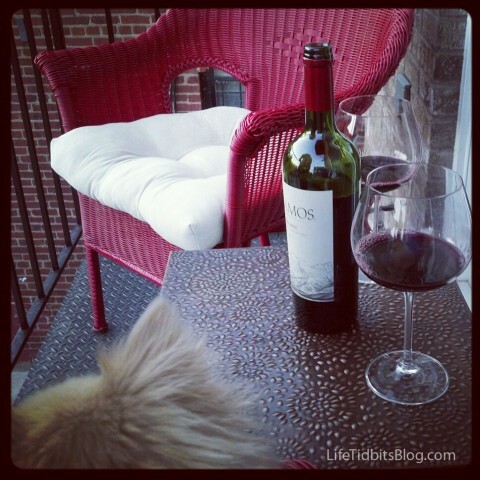 We enjoyed the nature view and the beautiful weather while tasting their wines. We purchased two bottles of wine and some chocolate infused with wine. Chocolate plus wine YES PLEASE! Clearly my sweet tooth was taking over when I pretty much insisted we buy the chocolate sauce. Then we headed off to our last stop and probably my favorite vineyard of the day, Pippin Hill Farm Vineyards. The view was AMAZING, the wine was fantastic and the food was yummy!!! During our wine tasting we realized a snack was necessary. When we had first arrived a number people were eating sliders and omg did they look good. Unfortunately they were really good, therefore they were all sold out by the time we ordered them … bummer! We ended up getting a salad and cheese board. It was super yummy and I totally forgot to take a picture of the food before we had already finished it. Anyways this was the amazing view we had while we had a glass of wine and our snack. 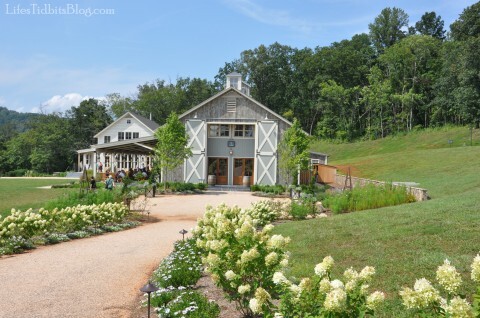 I definitely want to go back to Pippin Hill Farm Vineyards someday soon. Their food, wine and view were all spot on. It was the perfect place to end our little winery tour. We got a couple of bottles of wine from here as well … can you say a stocked wine rack?? After a long and fun day of wine tasting we headed back to the B&B. It was a great anniversary weekend and so nice to get out of the city for a little while. Have you been to any of these vineyards? 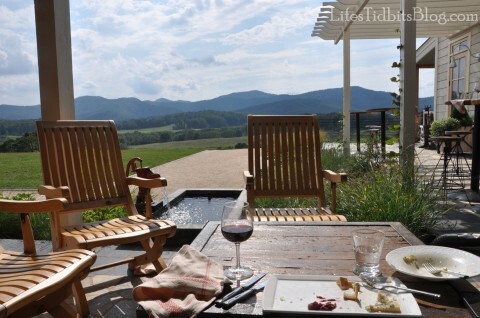 What’s your favorite vineyard in VA?